All of the company’s properties are under long-term triple-net lease agreements, which provide solid cash flow visibility and shift property operating expenses such as maintenance, utilities, insurance, and taxes to the tenant. As a result, the firm’s margin is among the highest of any REIT. Few companies have maintained as strong of a dividend growth track record as Realty Income. 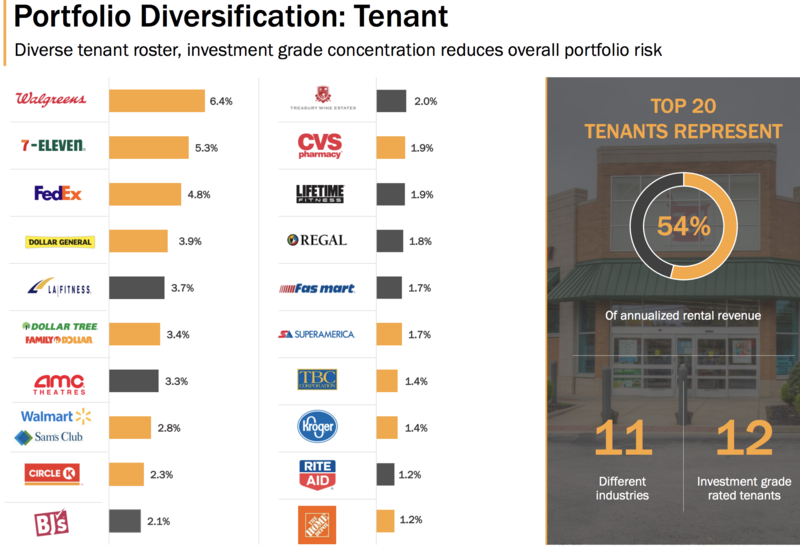 The REIT’s success is driven by its diversified portfolio, disciplined capital allocation, focused business strategy, and strong financial health. These factors have combined to create an extremely resilient business. 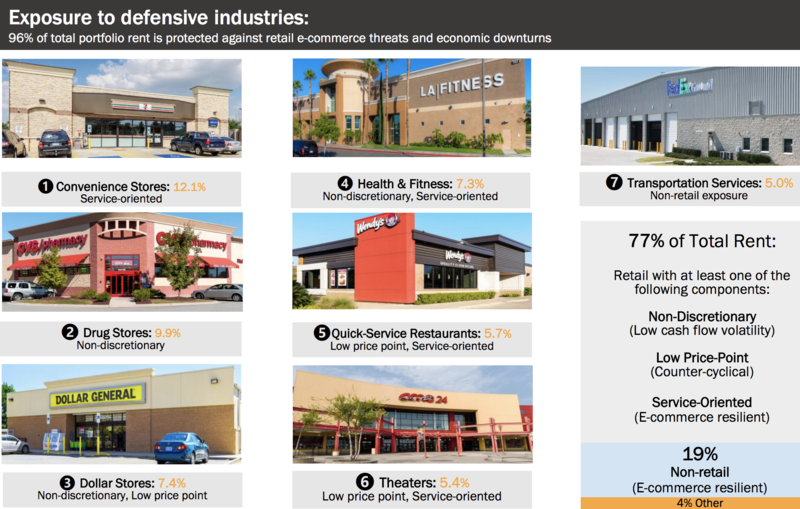 In other words, these tenants are seemingly better positioned to survive a variety of economic conditions and more effectively compete with the continued rise of internet retailers. 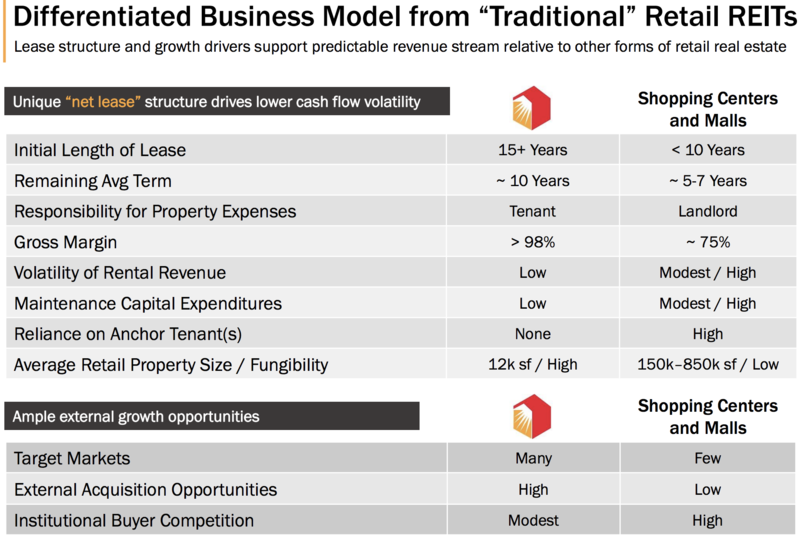 Simply put, Realty Income’s business model is very different from shopping center and mall REITs, which face greater uncertainties and have higher risk. As a result, REITs primarily rely on external financing (i.e. raising debt and issuing shares) to fund their property acquisitions. In fact, Realty Income’s share count has more than tripled since 2005 to help fund its property acquisitions. While it has done a great job of shifting its tenant base to relatively e-commerce resistant tenants over the years, there is always the risk that omnichannel could eventually reduce the importance of certain physical locations. Perhaps in the future companies will merely use their physical store locations as delivery and return points for increasingly online driven sales, for example. Fortunately, Realty Income is not overly exposed to any single industry. For now, it seems unlikely that the continued rise of e-commerce would materially impact demand across many of Realty Income’s tenants, much less jeopardize their ability to continue making rent payments. Another risk to consider is how long the REIT can maintain its historical 4% to 5% annual growth rate. While the U.S. real estate market is large and fragmented, allowing for plenty of new acquisition opportunities, Realty Income’s increasing focus on top quality properties and tenants with stronger credit ratings could limit management’s ability to scale up acquisitions to maintain its growth rate.